The saying goes that fashion is always recycling itself in new ways. 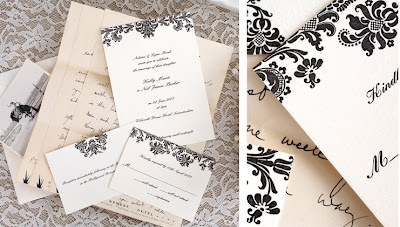 I love the history of fashion and recently I have really gotten into the history of all things wedding- attire, decor, traditions, and details. While marriage has been around since the beginning in one form or another, a lot of wedding traditions that we still have today started in the late 19th century. "White did not become a popular option until 1840, after the marriage of Queen Victoria to Albert of Saxe-Coburg. Victoria had worn a white gown for the event so as to incorporate some lace she owned. 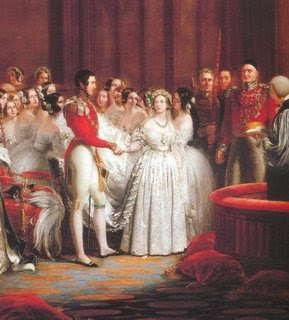 The official wedding portrait photograph was widely published, and many other brides opted for a similar dress in honor of the Queen's choice. Prior to the Victorian era, a bride was married in any color, black being especially popular in Scandinavia" (source). 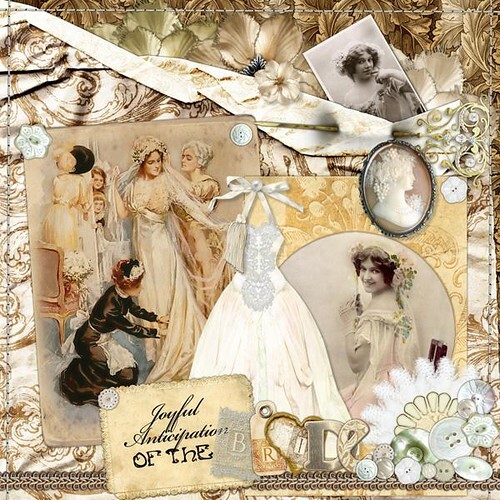 I thought it would be fun to create an inspiration board paying homage to the Victorian era. Thanks to Queen Victoria, her namesake era was a time of opulence and great attention to luxurious details. 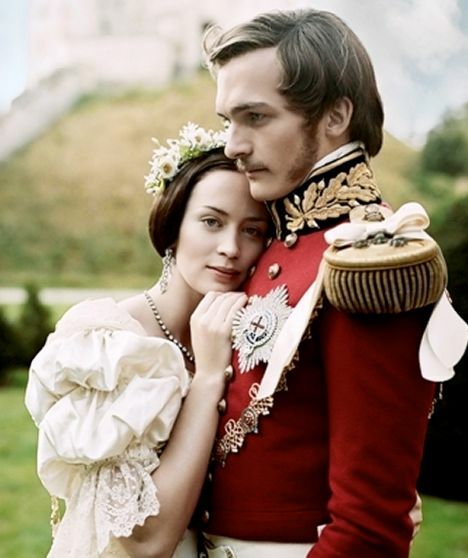 Not only are there a lot of pictures to use as a reference, but the ravishing Emily Blunt portrayed the infamous royal in "Young Victoria" and every detail in the movie was so gorgeous. 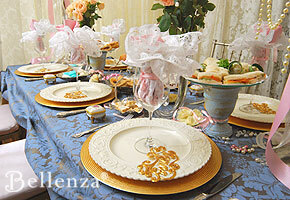 The main influences are lace, rich golds, blues, and reds, lots of florals, and opulent patterns. 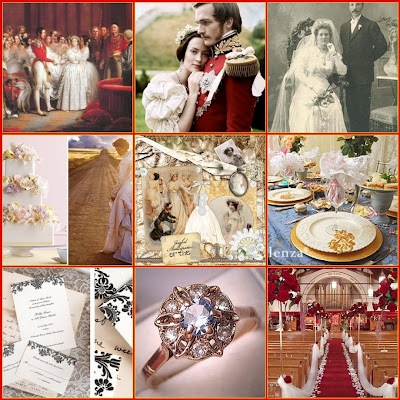 While incorporating every Victorian detail would create a costume-party feel for a modern wedding, I like the idea of picking and choosing a few aspects to feature. Not sure where to start? Here is an article on the modern take on Victorian wedding dresses. For more ideas, hope you enjoy the Victorian wedding inspiration board!